Becoming A Landlord: What Are The Things You Must Expect? Property rentals are among the most popular types of real estate investments primarily because it is the least complicated and your house is still intact. All you’re doing is to rent the property to someone, or people called tenants basically for profit. You as the owner becomes the landlord. Now that you officially become the landlord of your tenants renting your property. If this is your first time, there are several things or first-time mistakes you must avoid in order to become successful in this investing venture of yours. 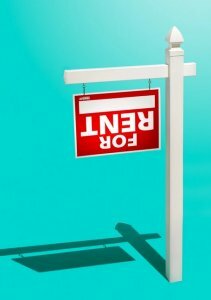 Check out this article written by Amanda Gengler in Money.com and learn how to become an effective landlord without committing rookie mistakes. When you decided to become a landlord, never underestimate the cost of your property such as the insurance, taxes, as well as house utilities like home repairs, garbage, water leaks, gardening, landscaping among others. Failing to prepare for these costs could hurt your ability to earn from rental income. With these underlying insurance, taxes, and house maintenance costs, you might be wondering if it is worth it to become a landlord comparing the rental income minus the cost. Holly Johnson wrote an amazing article in Lifehacker if becoming a landlord is totally worth it. Read the article below to learn more. Researchers blame the increase in renters on a convergence of factors, including a record number of foreclosures in 2008 and economic troubles caused by the Great Recession. However, it also points to certain benefits that make renting a popular option. Some of the pros of renting named in the study: greater mobility, protection from fluctuations in the housing market, and freedom from home maintenance and repairs. The fact is, renting has simply become the best option for many. In fact, recent reports show that rents have skyrocketed in many parts of the country due to increased demand, so much so that the cost of renting has moved out of reach for many middle-class families. And while that’s bad news for those who simply want an affordable place to call home, it’s a real estate investor’s dream. As mentioned above, the author’s experience in becoming a landlord isn’t that glamorous. Indeed, there are lots of instances where landlords got the low end of the bargain where tenants not paying rentals on time, as well as damages inside the house like missing door knobs, busted windows, among others. Definitely, these issues caused a lot of headache for landlords. However, the rewards from rental payments are definitely worth it, and there are several ways to prevent cruel tenants from barging into your property. Carefully screening your tenants is the best solution to avoid such problems, and there are lots of effective ways to screen tenants, Erin Eberlin suggested some tips to tenant screening. Read the advice below. Prospective tenants have to be able to find prospective landlords. They’re not going to magically show up at your property. You must draw a figurative map to lead them there. Several methods are at your disposal to help you reach the most people possible as quickly as possible. After all, time is money when you’re looking for tenants. The Internet is a great way to reach the masses. Sites such as Craigslist and Trulia allow you to post free rental listings that are visible to anyone with Internet access who’s looking for an apartment in your area. The prospective tenant can narrow her search criteria based on rental price, number of bedrooms and bathrooms, or any other features or factors she deems to be important. Sites such as Socialserve.com can help you reach the proper market if you’re interested in accepting government subsidized housing such as Section-8. Be sure to reference your website URL in your ads if you have your own website, and make sure you list the property there as well. Millions of people use social media sites like Facebook, Instagram, and Twitter. Create a Facebook page, an Instagram account, and a Twitter account for your company if you have one. Otherwise, use your personal accounts to let people know you have a property for rent. You can list your property on Facebook’s marketplace, post a status update on your account, post a photo of the rental on Instagram, or send out a tweet to your followers via Twitter. There are good reasons why property rentals and becoming a landlord has become one of the most popular types of real estate investment. 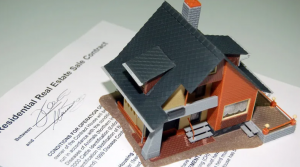 While there are risks involved, it can easily be avoided by properly screening tenants, asking identity verification from them as well as proof of income. That way you’ll have the assurance of them paying rentals on a monthly basis. Sure there are additional costs, but preparing cash for additional repairs as well as taxes and insurance can be prepared ahead of time. If you’re looking for property in Baltimore for rentals, or want to sell your house to raise capital in buying other property for rental, we at Dependable Homebuyers can help you in selling your house fast, finding the right buyer. Visit us on https://www.dependablehomebuyers.com to learn more.